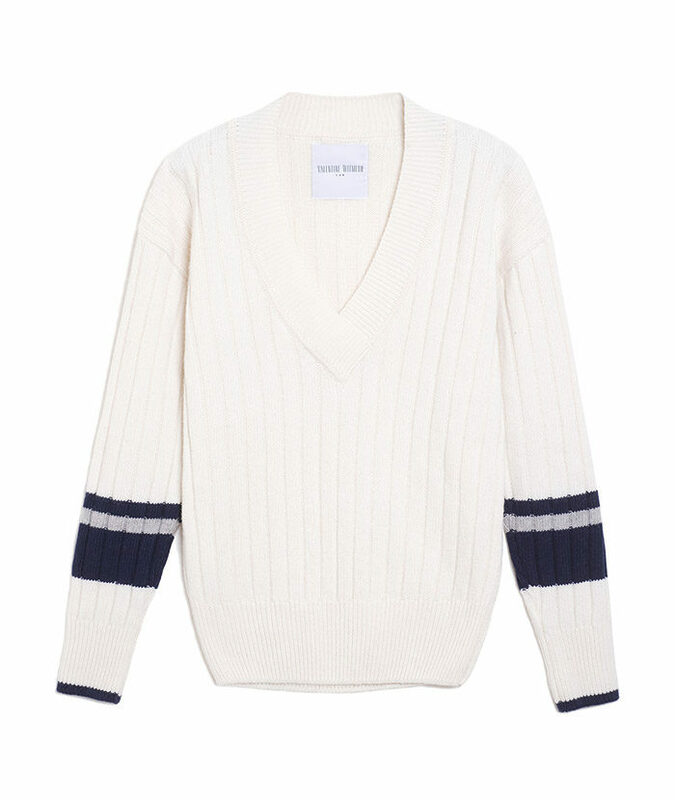 There is nothing better than an off-white V-neck sweater to match every occasion. The Okayish sweater is a true wardrobe staple. Trimmed with ribbings, its personality comes out in the dark blue stripes around the sleeves. An essential must-have that won’t let you down.